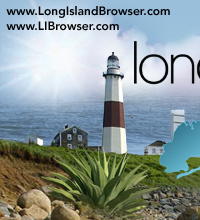 Long Island Browser business directory and events calendar, your source for Long Island New York events and businesses, organizations, jobs listings, real estate listings, children's resources in Nassau County, Suffolk County, the Hamptons, Long Island New York. 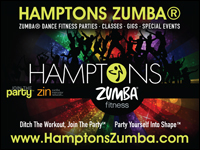 Click here for Long Island Events. Are you a collector looking for that special memorabilia or European antique? Check out antiques collectibles shops and auctions on Long Island. The architecture engineering section has information about architects and engineers and construction management. If you are an art lover, visit the Arts section for visual arts such as Long Island art galleries, art exhibits, shows or check out Arts and Crafts Events on Long Island. For art lovers indoor adventure visit one of the Long Island museums and look at art exhibits o paintings, drawings or sculptures by talented Long Island artists painters, portrait artists, sculptors. Performing arts provide you with listings of artists and entertainment information about musicians, singers, music bands, night dance clubs and Music Concert Events on Long Island. If you like action, check out our listing of Long Island bowling alleys, for entertainment movie theaters or theaters of performing arts for that special ballet or theatrical Broadway show. Ladies section is beauty, fashion modeling - for your complete make-over beauty salons, hair stylists and massage spas. If you are looking for information about Long Island charities, visit the community non-profit organizations page. Parents who are concerned about their children's education can explore schools on Long Island in our education section that includes listings of nursery schools, preschools. kindergartens, elementary schools, middle schools, high schools, universities colleges and schools districts. To find that special book for your research, visit the Long Island libraries listing page or the Libraries events calendar. For legal help find an attorney on the legal section. If you need a financial advisor or certified public accountant, visit the finance page. Fine tasters can find their delight in the food dining section has information about restaurants and various cuisines and catering services for parties. Select from various restaurant cuisine. Health and wellness is the concern of all of us. May your interest be alternative medicine or may you be looking for a medical doctor specialist, visit the health medical section. 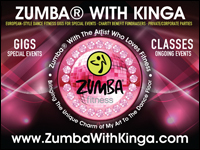 Long Island fitness lovers find a local gym, or events of aerobics classes and the popular Zumba dance fitness classes. Water enthusiast visit the fishing boating section for marinas or the events calendar for safety boating classes. Are you in need of improving your home? Do you need a new bathroom/kitchen? The home improvement section lists contractors such as painters, roofing builders, gardening irrigation specialists. Find the best rate for your auto car insurance or property home insurance by reviewing Long Island insurance agencies. Are you looking fore a job? Or you need help in your business? The jobs sections has listings for jobs and employment. Long Island Browser community events calendar that displays events, activities and things to do. 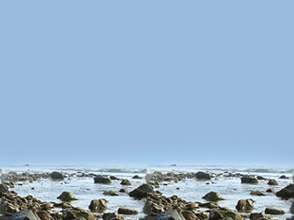 For outdoor fun and activities the recreation section lists Long Island beaches, parks, golf courses, hiking trails. For children visit summer day camps, child developments centers and child health organization. There are millions of pets waiting for permanent, loving homes. Visit your local Long Island animal shelter and find your best friend and adopt a pet, a dog, cat or rabbit. If you are visiting Long Island visit the Long Island tourism page that lists Long Island attractions such as aquariums, zoos, amusement parks, planetariums, wineries vineyards, farms. Are you looking to sell you home? Or are in the real estate market to search for that special house that fits your budget and needs? Maybe your business needs a new location? Visit the real estate section for apartment rentals, residential, commercial and industrial real estate and listing of real estate agents. Are you looking for help and tips on positive thinking, personal growth, self-improvement, happiness, how to live a good life, spiritual enlightenment? For religion spirituality you may visit churches or temples of your faith or spirituality meditation and yoga classes. *Note: The Long Island Browser (www.LongIslandBrowser.com) web site, concept, content, designs, graphics, logos, banners, layout, META Tags are created, owned and copyrighted � by Long Island Browser (www.LongIslandBrowser.com), All rights reserved. This web site and any material contained herein be not be taken, reproduced or modified by whole or part in any form whatsoever. 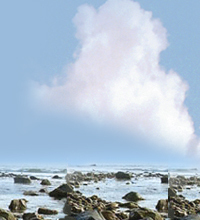 Created September, 2000. 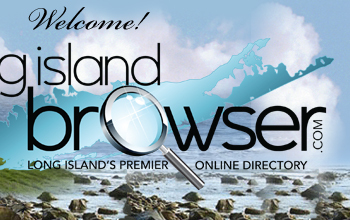 * *Presently the Long Island Browser (www.LongIslandBrowser.com) accepts personal ads from individuals free of charge; business organizations and commercial advertisers please click here for listing fees and rates! * * *The Long Island Browser (www.LongIslandBrowser.com) reserves the right to reject or remove any advertisement appearing in the Long Island Browser (www.LongIslandBrowser.com) at its sole and absolute discretion for any reason or cause whatsoever. * * * *By and as a result of your submission you hereby release to Long Island Browser (www.LongIslandBrowser.com) any and all rights to display the result of your posting on the Long Island Browser Testimonials page or any such display for the benefit of the Long Island Browser (www.LongIslandBrowser.com). * * * * *By and as a result of your submission you hereby release to Long Island Browser (www.LongIslandBrowser.com) any and all rights to display your logo/photos as part of your ad in the Long Island Browser (www.LongIslandBrowser.com) web site. * * * * * *This site is created and maintained by the Long Island Browser (www.LongIslandBrowser.com). External links to other Internet sites should not be construed as an endorsement of the views contained therein.